Giving to the work of the Lord is part of our worship of him and is both a privilege and an honour. When we realise that everything we have comes from him we ought to show our thankfulness by giving in return. In the Old Testament era, God asked his people to bring a tenth (tithe) of their income and the Bible makes clear that this tithe belonged to the Lord. When they did not give it back to him, God accused the people of robbing him and they suffered for that. See Malachi 3:6-12. You give a tenth of your spices–mint, dill and cummin. But you have neglected the more important matters of the law–justice, mercy and faithfulness. You should have practised the latter, without neglecting the former. So while Jesus criticised their omissions, he made clear that they should continue the practice of tithing. For that reason the bringing of a tenth of our income to the work of the Lord is undoubtedly a valid starting point for every generation. Sacrificial: Luke 21:4 – All these people gave their gifts out of their wealth; but she out of her poverty put in all she had to live on. In proportion to our income: Acts 11: 29 – The disciples, each according to his ability, decided to provide help for the brothers living in Judea. Cheerful: 2 Cor 9:7 – Each man should give what he has decided in his heart to give, not reluctantly or under compulsion, for God loves a cheerful giver. 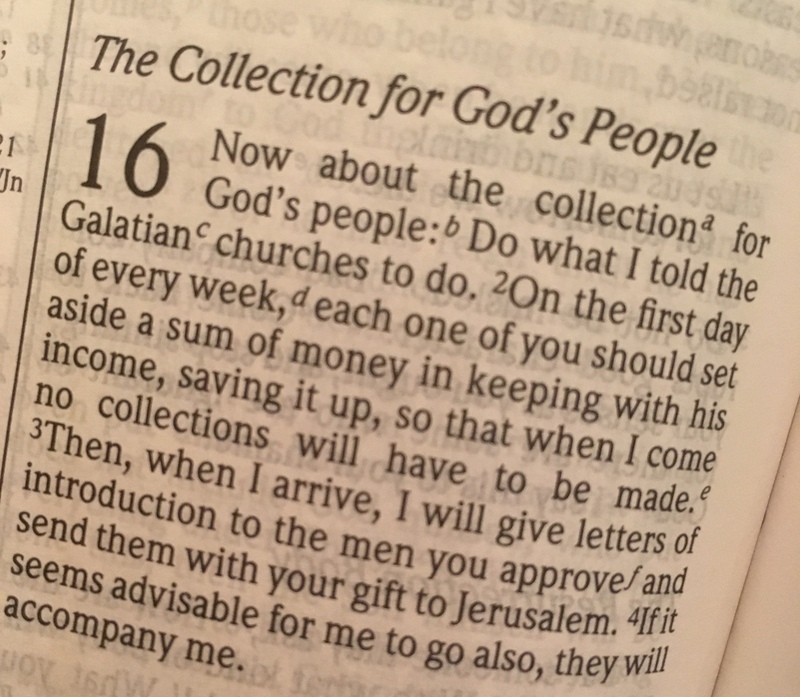 Regular: 1 Cor 16: 2 – On the first day of every week, each one of you should set aside a sum of money in keeping with his income, saving it up, so that when I come no collections will have to be made. If you would like to donate to the work of TAIN & FEARN Free Church the easiest way is by donating directly into the church’s bank account. This can either be as a standing order each month or as a one off donation. Any money donated directly into the bank account will be allocated to the General Fund which pays for the cost of having a full time minister as well as upkeep of property, insurance, youth work, outreach and missions in addition to assisting the Free Church centrally to help smaller and struggling congregations. If you would like your donation to be allocated to something specific (such as the New Church Fund for redeveloping both churches) then please email the Treasurer, letting him know the amount and what you would like your donation to go towards. We have set up a separate account for those who would like to make a contribution towards the building of our new church. These are the bank details below. Or visit our BT My Donate page by clicking on the button below.